Investigating dog behavior drives can tell you a lot about your pooch. Read on to discover how to use your dog’s drives to your advantage in training. Behavior drives are the instincts that contribute to how dogs act and react, as well as how they make decisions. Almost everything a dog does can be attributed to a behavior drive. These dog behavior drives are typically genetic and are consistent within a breed and usually within a breed group. Dogs that are bred to have a specific job are bred to enhance a specific drive, which makes training them for that job relatively easy. When you are training your dog, you’ll need to consider how he makes decisions and what drives are supporting his actions. This drive refers to the dog’s natural friendliness and interest for companions in their human and canine friends. Your pet’s sociability drive typically falls into one of three categories: overly social, neutral and unsociable. The overly social dogs will show crazy and wild greetings. These dogs love human interaction and are generally pretty responsive to voice commands and petting. They have strong desires to please their owner, but with a little harsh punishment, they can easily shut down. Overly social dogs are easy to train because they want to make you happy — a good example of this breed is a Golden Retriever. Neutral dogs show affection with their owner but might not respond as well to strangers. 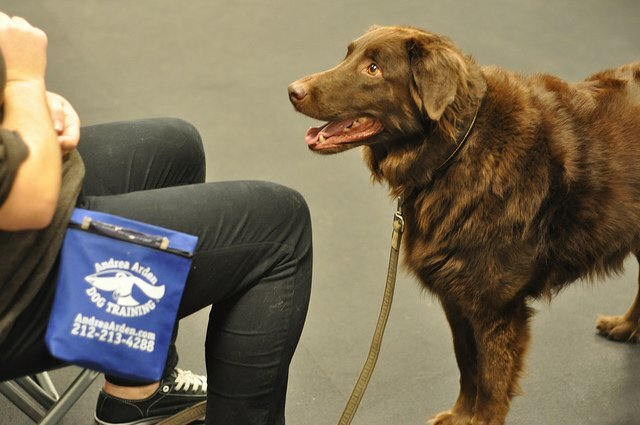 These dogs sometimes lack confidence, so using positive reinforcement when training is crucial for success. I typically look for neutral dogs when I train service dogs; they react well to and are interested in pleasing their handler, but they don’t display extreme hype when a stranger interacts with them. The unsociable dogs will usually not approach strangers and typically will not allow themselves to be approached. If a stranger enters his comfort zone, you may see signs of aggression in your dog. Since people back away from a growling dog or a dog showing his teeth, this can quickly become a learned behavior. These dogs can learn that aggression keeps strangers from approaching them. An unsociable dog requires careful attention. If you have one of these dogs, you should consider seeing a professional trainer because it may require counterconditioning and behavior modification as an effective part of the training. Because this drive is the simplest motivator, it is what many trainers take advantage of when training a dog. It’s defined as the dog’s willingness to offer a behavior in exchange for food. To easily increase the food drive, withhold food from your dog. Typically just withholding one meal will make your dog incredibly interested in your snacks. Dogs with a high food drive will adapt to many new situations if it involves a food reward. Some owners see withholding food as a good punishment option. It’s not. You may start seeing other behavior problems, such as inappropriate eating, if you choose to withhold food from your dog for long periods of time as a form of punishment. A dog’s interest and eagerness in chasing and catching a ball or playing tug-of-war is defined as the dog’s prey drive. Dogs don’t always need to be given a food reward for good behavior because chasing a ball can be more rewarding. 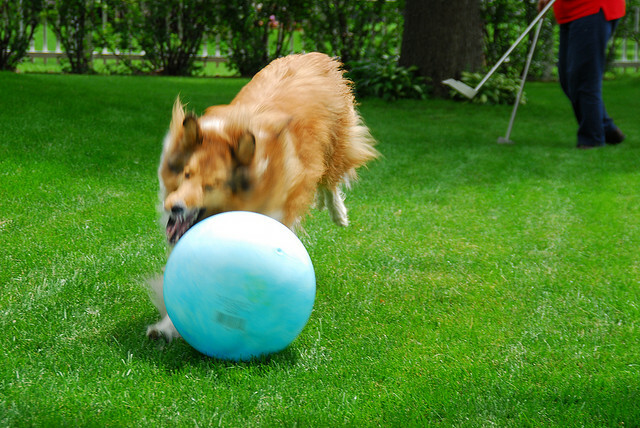 If you want to build your dog’s prey drive, limit exposure to your dog’s favorite toy or ball to training sessions only. Dogs such as terriers and retrievers often have a high prey drive, so owners should use this natural capability. I have never had a dog that wanted to chase a ball, but if I did, I would use my dog’s prey drive to exercise my dog and use other drives when training. Certain behavior problems arise because of a dog’s natural drive. If you want to prevent potential issues, you should understand the breed and the drives that the breed carries. For example, if your dog has a high pack drive, such as a Beagle, you should work to prevent potential separation anxiety in your dog. Although other factors (such as environment and history) will influence your dog’s behavior, understanding the drives puts you in a position to be an effective trainer and a great pet owner.